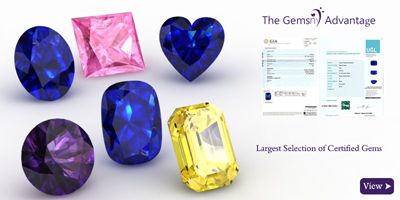 There are plenty of online retailers offering gemstone and diamond jewelry, but GemsNY is unique because of the many options we offer our customers. From preset settings to "make your own" pieces to our custom jewelry design service, we make it possible to choose the perfect piece of jewelry for any occasion. 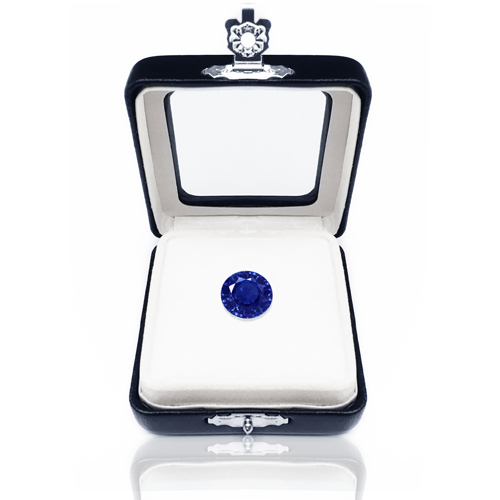 The GemsNY difference begins with our vast inventory of over 11,000 color gemstones, all of which are certified, genuine and hand-selected by our expert gemologists -- we don't deal in lab-created or synthetic gemstones. Another fact that sets GemsNY apart is that each piece of gemstone jewelry we sell is handcrafted to order, whether you choose a preset setting or the "Make Your Own" option. 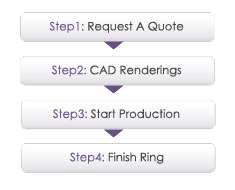 Furthermore, we offer a custom jewelry design service in which you can work with our talented design team to create the personalized setting of your dreams. 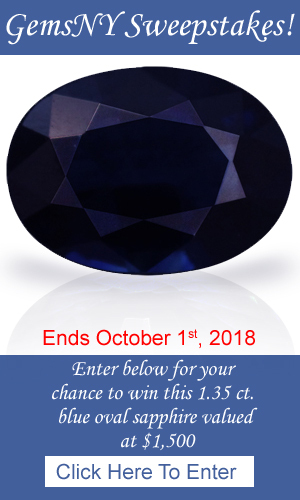 And if stunning genuine gemstone and diamond jewelry at wholesale prices were not enough of a reason to buy from GemsNY, we also offer some attractive extras -- such as free insured shipping, a free appraisal of each piece of jewelry we sell, free ring resizing and engraving, lifetime tradeup and a one-year warranty on all our jewelry products. Shop with GemsNY today, and we'll help you find the perfect piece of jewelry for any special occasion -- or just to treat yourself!